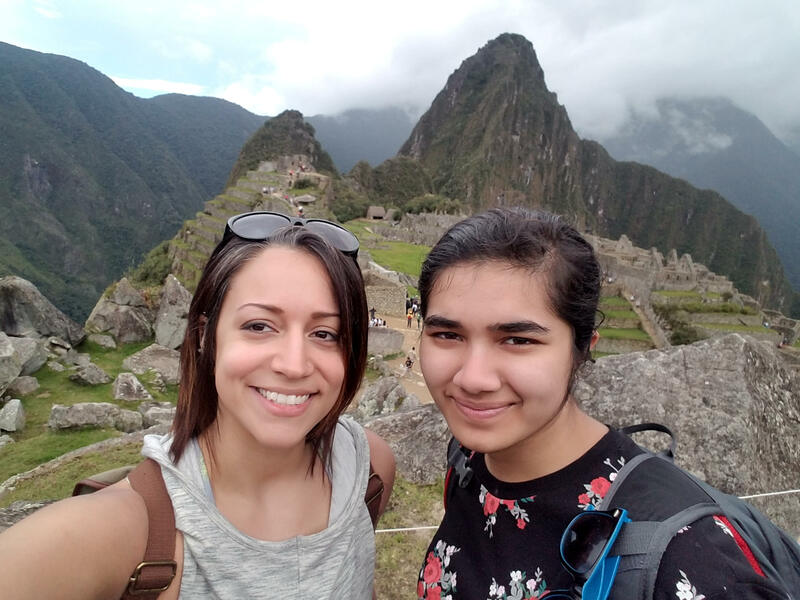 In honor of Mentor Appreciation month in January, we highlight TEAK Alumna, Tara Kalinsan from Class 4, who serves as a mentor to Daniella from Class 19. Over the years, nineteen TEAK Alumnus have served as mentors to younger Fellows, fostering unique bonds and sharing common experiences as TEAK past and present program participants. Tara grew up in the Bronx and attended IS 180. She went to the Westtown School for high school and Muhlenberg for college. She has spent the past 4.5 years working in admissions at the Spence School in Manhattan and will soon be starting a new job at Smith College as their Assistant Director of Multicultural Admissions. Part of her position at Smith will be recruiting students of color from low-income families. Tara credits TEAK with instilling in her an interest in education, and she’s excited to be part of the equation of admitting students of color into college. At Smith, she will also work on their First Generation Program, a mentoring program for students who are the first of their families to attend college. Being a first-generation college student herself, Tara is proud to work with this group and help students transition into college life. TEAK was very supportive and provided me opportunities that I didn’t even know existed. Now, working in admission at Spence and soon to be at Smith, I’ve learned how vital programs like TEAK are, but I’m also aware that institutions need to do more to admit students of color and from low-income families. TEAK helped me navigate the two different worlds, my life in the Bronx and the privileged predominantly white schools that I attended by empowering me and giving me the confidence to succeed. What made you interested in being a mentor? I had an amazing mentor, Sue King, who was an integral part of my support system. This positive relationship that I had with my mentor made me want to give back to TEAK and TEAK Fellows. I was at the point in my life where I felt like I had something to offer Fellows, so I applied to be a mentor. Being a mentor is such a rewarding experience, and if anyone knows what it’s like to be a 13-year-old, you probably know that it’s a tough age. I love hanging out with my mentee, Daniella. We like to go to museums and bowling. She reminds me a lot of myself as a 13-year-old. I think it’s excellent to have TEAK Alumni as mentors because they know what it’s like to go through the program and understand how important it is to have a mentor in your life. Ask for help! TEAK gets to know you. Every member of TEAK genuinely cares about helping you, and there are so many opportunities that they can give you. Trust the process. TEAK can be grueling, but you are so much more prepared once you get into high school and then college. Lessons that I learned from TEAK have carried out past college. For example, how to give a good handshake. TEAK has been around for 20 years and as tough as the process is sometimes, it works.